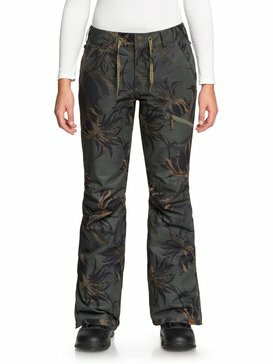 Are you wondering where to find the best women’s ski pants? You’ve come to the right place. 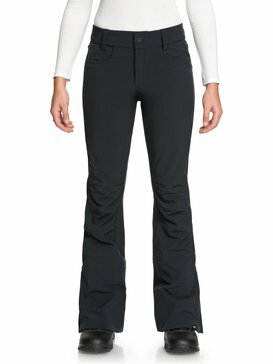 ROXY makes the best ski pants and ski bibs for women when it comes to quality, technology, functionality and fashion. Skiing has always been a passion of ours and has been a core part of our brand for a long time. 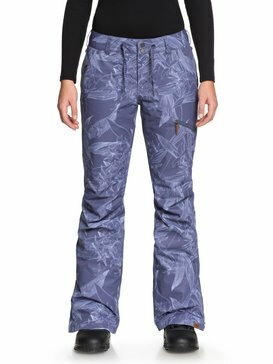 We know that you are avid skiers who are always eager to have the best experience on the mountain and we design quality ski pants and women’s ski bibs that can keep up with your progressing skills and sense of adventure. 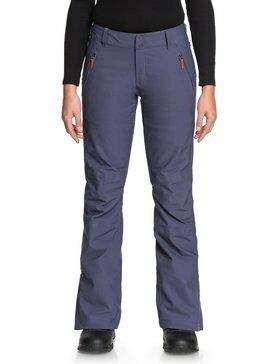 Stocking up on a selection of ROXY ski pants will allow you to be prepared with the best comfort and protection for your legs for all conditions. ROXY ski pants are the best ski pants for women on the market because we take the time to make sure that each pair is designed to outperform any weather conditions that could attempt to put a kink in your ski day. Our collection of women’s ski pants offers a range of weatherproof levels and waterproof ski pants to choose from so that you are equipped accordingly each time you leave for the slopes. A pair of our 5k ski pants will keep you comfortable in light conditions and is a great style for every skier to have as a staple in their selection of gear. 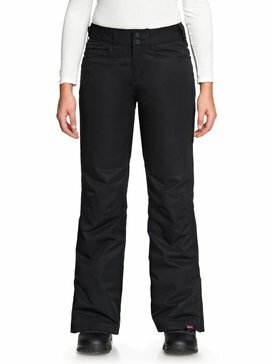 As the season kicks into gear it’s good to have a pair of 10k ski pants to keep you dry and comfortable all day long. 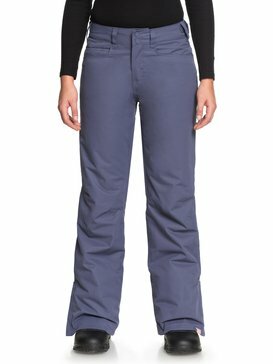 A pair of 15k ski pants is great for days when you’re going to be expecting weather conditions to get harsh and you want to make sure that the waterproof and breathability levels of your ski pants can keep up. 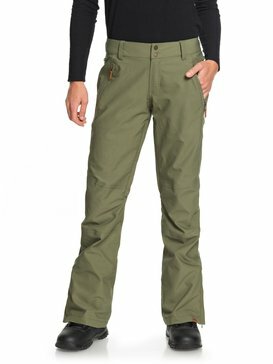 And when you know that you’re going to be braving the harshest of conditions, stay confident in your comfort levels with a pair of our 20k ski pants. They will fight all of the weather elements while keeping you warm and dry. 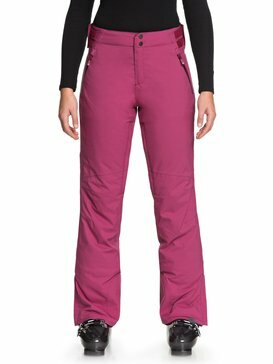 A lot of our women’s ski pants are also designed with gore-tex materials to provide a lightweight yet heavily protective ski pant. 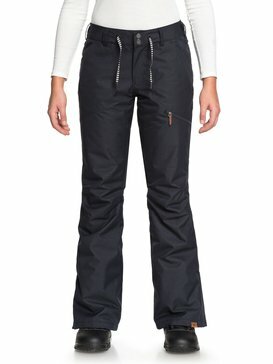 Our gore-tex ski pants and gore-tex bibs are a great options to keep your legs feeling fresh run after run. 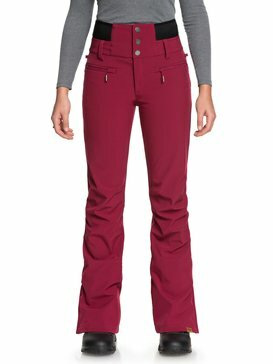 We know that as a woman you always appreciate looking good, which is why we design ski pants that don’t require you to sacrifice any style for quality comfort and protection. 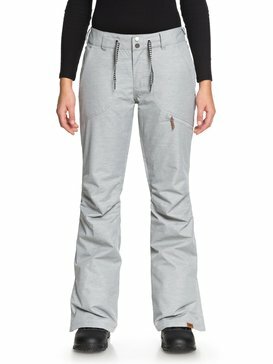 We’re big believers of creating ski pants for women that offer both function and fashion. 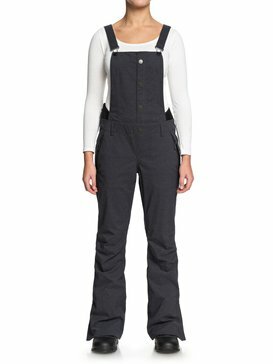 Just like every woman likes her clothes to fit a certain way, we want every woman to be able to have the same luxury of outfitting herself when it comes to her ski pants. Our collection of women’s ski pants offers a varieties of fits and colors that can accommodate any style. Along with the typical loose fit ski pants, ROXY designs a range of fitted ski pants so you can choose how you like them to fit. From skinny ski pants and tight ski pants, to slim fit ski pants, you will have lots of options to rock the pair that completes your mountain look. 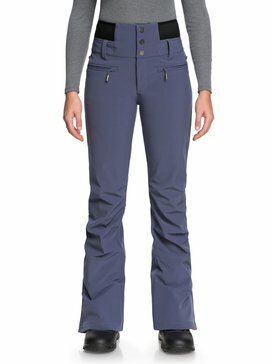 We even design women’s stretch ski pants so you can keep them a little tight while still having the range of motion needed to perform on your skis. 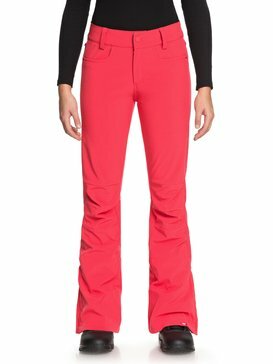 Along with fit, color selection is also something that we value when it comes to ski pants. Mother Nature provides a blank white canvas each year for us to enjoy and we want to make sure that you can add the pop of color you want each time you cruise down the mountain. 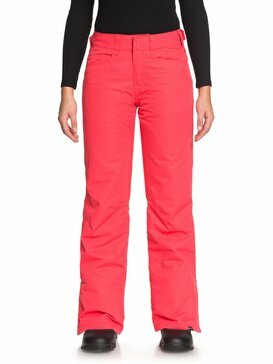 Pink ski pants and orange ski pants are fun vibrant colors to bring to the slopes. Green ski pants or blue ski pants are great nature tones that will feel fresh and vibrant on the mountain. Red ski pants and yellow ski pants are fast and bold colors that will keep you feeling adventurous, and black ski pants and women’s white ski pants are always a great staple that go with everything. Regardless of your favorite color, ROXY has a great pair of ski pants just waiting to complete your favorite mountain look. 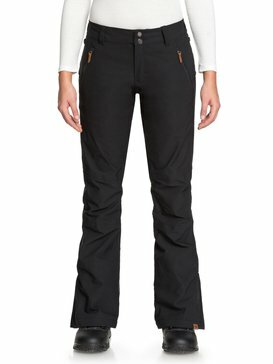 When it comes to choosing the right pair of ski pants, ROXY has all of your options conveniently in one place. 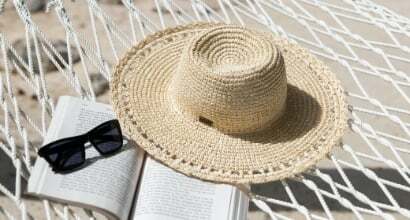 Our online store is easily shoppable and our free customer service help line is always eager to answer any questions you have via live chat, phone, or email. 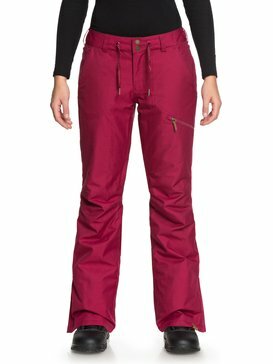 Browse through our collection of women’s ski pants today and buy the pairs that will keep your ski season on point.